Those who are (or once were) teachers, day care workers, homemakers, social workers and more may make an easy transition to being a Court Appointed Special Advocate (CASA). Right now, Maricopa County is home to more than 9,000 children in foster care and many of them could benefit tremendously from having a helpful figure guide them through this difficult period in their young lives. CASA of Maricopa County provides advocates for children who ensure that each child experiencing foster care is treated with dignity and respect and are provided with the care they deserve. These advocates are volunteers — everyday members of the community lifting their voices to protect the rights of vulnerable children who may have endured abuse or neglect. Some of the likeliest candidates to fit the profile of a Court Appointed Special Advocate (CASA) volunteer share current or past vocational experiences that have prepared them to lend compassionate services to youth living in foster care. Here are some of the common occupations and preoccupations that prepare many of these volunteers for the experiences they may encounter as a CASA. 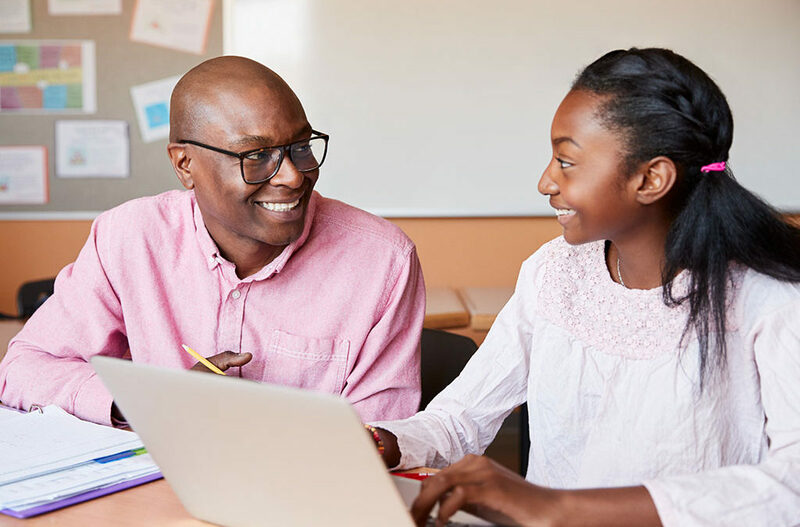 Teachers and School Staff: Those who have worked at all levels of public and private education are well-suited to take on volunteer work with children in the court system — especially for those having extended breaks during the summer and winter. Using that time to take on a unique assignment will go far toward helping a child in foster care navigate the intricacies of their parents’ legal case. This is an invaluable way to give back to some of the most vulnerable members of the community. What’s more, teachers and school staff have experience in navigating the school system for children who are in the Individualized Education Program (IEP) or have a 504 plan. Early Childhood Caregivers: In a similar way, early childhood caregivers are ideal candidates to provide the nurturing assistance and basic childcare to youth of all ages in the care of the court system. People who spend their days working in daycare facilities or preschools understand the complex physical, social and emotional developments taking place at critical young ages. When children of preschool age enter foster care, the attention and nurturing they receive can have a lasting impact and can significantly shape their ability to cope with the challenges ahead. Early childhood caregivers are also trained to be very observant of behaviors in pre-verbal children that help them read and react appropriately to each foster child’s needs. They can communicate those needs directly to a judge to ensure the child’s best interests are kept at the forefront of the proceedings. Social Workers and Medical Professionals: Social workers, physicians and nursing professionals possess some of the ideal skill sets for being effective CASA volunteers. By virtue of their intensive training in clinical practices, both social workers and medical professionals are excellent observers of child welfare and will understand how to properly communicate their observations to the court for consideration throughout the proceedings. In the day-to-day of their professional lives, social workers and physicians may have frequent interactions with courts of law as advocates or expert witnesses, making them familiar with the court environment that can be very overwhelming for a child who lacks an adult advocate. Homemakers and Empty-Nesters: You do not have to be employed in an official role to be a perfect CASA candidate. Stay-at-home spouses and empty-nesters looking to fill their free time with a meaningful activity that gives back to their community will find volunteering with CASA of Maricopa County immensely rewarding. A large percentage of CASA volunteers are at or above retirement age and benefit from the experience of a lifetime spent raising children of their own. If you think your past experiences have prepared you to become an advocate, see what it takes to be a CASA. There are no special requirements or skills needed to begin your journey to becoming a CASA volunteer. In fact, it is beneficial to the children served by CASA that volunteers represent all areas of society, coming from different cultures, professions, ethnic and socio-economic backgrounds. Get started on your CASA journey today by visiting our Advocate Information Center.